We are doing turnkey project of sewage treatment plant, we are supplying, installation testing and commissioning of sewage treatment plant. We are a manufacturer, suplying and installing of sewage treatment plant. 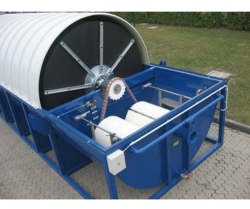 We are a manufacturer of moving biological contractor for wastewater treatment plant. we are manufacturing, supply, installation & commisisoning of moving biological contractor system for seage & waste water treatment. Moving biological contactors (MBC), also called rotating biological filters, are fixed-bed reactors consisting of stacks of moving disks mounted on a horizontal shaft. They are partially submerged and rotated as wastewater flows through. They are used in conventional wastewater treatment plants as secondary treatment after primary sedimentation of domestic grey- or blackwater, or any other biodegradable effluent. The microbial community is alternately exposed to the atmosphere and the wastewater, allowing both aeration and assimilation of dissolved organic pollutants and nutrients for their degradation. We are a big manufacturer and supplier of moving biological contractor n reactor.We obligated to meet the quality standards as per the customer demand. 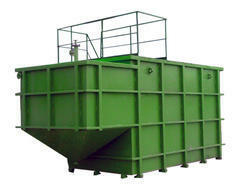 We are a manufacturer & supplier of sewage treatment plant for small scale. We are a manufacturer, Fabricating, suplying and installing of sewage treatment plant in ASP. We fabricate costomized basis. 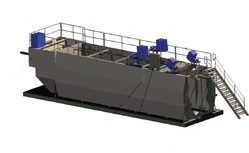 We are introducing advanced sewater treatment plant in a different capacity easy operative.